After our most memorable visit to Japan, I have had people – friends, family, acquaintances and so many others just calling up to ask how should they plan their trip to Japan and how did we choose Japan as our travel destination. After receiving 8 calls in the past 1 year, I decided to pen down a brief “how to” with the most frequent questions I receive from travelers planning their trip to Japan. If you have any more questions, leave them in the comments tab below, I would love to add them to this post! To those who think Japan is going to be a difficult destination with the language barrier, here’s my suggestion, don’t worry! Japan is the warmest, friendliest, nicest place to be in whether you know the language or not. Q] What places/cities did you go to in Japan and were they worth the visit? We went to Tokyo, Osaka, Kyoto and Mt.Fuji. We had ten days so we spent 4 nights in Tokyo, 1 day in Mt. Fuji (while staying at Tokyo), 3 nights in Osaka and 1 day at Kyoto (while staying at Osaka). All the four places were completely worth visit. Q] Travelling in Tokyo – were you walking everywhere or using the Metro? We were using the metro but there is a lot of walking as well in the areas internally. Make sure to carry a good pair of sneakers. Q] What was the approx cost of travelling each time in a Metro from point A – B in Tokyo? Local metro is anywhere between 150-400 yen from one location to another. They have day passes but we wouldn’t recommend that as there are different metro lines and a day pass will not work on all the lines. Q] Did you remove a day pass for Tokyo metro (If yes what was the cost) or you bought the ticket every time you had to go to some place in Tokyo? They have day passes but we wouldn’t recommend that as there are different metro lines and a day pass will not work on all the lines. We bought a ticket every time we travelled within the city. Q] What is the best place to stay in Tokyo? In Tokyo,we were staying at Citadines hotel in Shinjuku which is the central place of Tokyo and all major trains operate from there. The hotel was a 5 minute walk from the station and Shinjuku is quite happening at night as well. It’s known for the nightlife is the street is lively at any time of the day. Q] How many days should we stay in Tokyo for to cover the entire city? Q] Things to do, places to visit in Tokyo? Q] Do people understand and speak English in Japan? Most of the locals might not speak English but they will effectively understand what you’re saying and respond. Some using sign language, some will take help from Google Translate. Besides this, there are information desks at all metro stations, hotel receptions where the executives speak English and are there to help you out. Q] How do I travel to Mt – Fuji and what was the approximate cost? You have to take a metro and then switch to a mini train to take you to the top to Kawaguchiko station. Internally they have tourist buses to take you around. The cost will depend on which metro station you are boarding the train from. It would be around 5,000-7,000 yen for a same day return journey. Q] How did you get to Osaka from Tokyo? We took the bullet train from Tokyo to Osaka (Shinkansen). It costs approximately 14,000 Yen and takes around 3 hours to get from Tokyo to Osaka. The train ride is a delight so you must try this! Q] Which is the best area to stay in Osaka? In Osaka, we stayed in an Airbnb apartment at Namba. Once again it was a 2 min walk from the station and very close to the shopping hub Shinshaibasi which has a lot of night clubs as well. Q] Things to do, places to visit in Osaka? Shop at Dotonbori at Shinshaibasi, nightclubs at Shinshaibasi, Universal Studios, street food, Osaka castle. Q] How did you get to Kyoto from Osaka? Osaka to kyoto is barely 40 minutes by the metro train and 15 minutes by the bullet train which is more expensive. We didn’t stay in Kyoto. We took the morning train, spent the day there and came back in the night. Q] Things to do in Kyoto? Awaiting more questions in the comments so I can make this of as much help as possible! If you haven’t visited Japan yet, please book your tickets now. Posted in Japan, Kyoto, Osaka, Places to visit, Tokyo, Travel, Where To Stay, World TravelTagged bullet train japan, how to travel in japan, japan rail pass, japan travel tips, jr pass, metro stations in japan, places to see in japan, shinkansen japan, things to do in japan, tokyo to kyoto travel, travelling in japan, where to stay in tokyoBookmark the permalink. Thanks Chandni for this… Just wanted to ask what’s the best time to plan your trip to Japan?? This is perfect for pinning! I am happy to now have this information at my fingertips for my upcoming trip. Great post! This is an insightful FAQ for documenting if ever traveling to Japan. I would definitely want to visit during cherry blossom season and possibly ride the bullet train! Cannot wait for Japan!! Interesting that the travel cards don’t work for the whole City, never heard of that happening before! This is really helpful! I still haven’t been to Japan, but it’s definitely on my list. Read so much about Japan but haven’t got one about the itinerary on how many days to spend in each of those cities until yours. Thank you for writing and sharing this. Japan, I miss it so much. Agree with you about being a friendly place no matter what language you speak! Next time i’ll Definitely take the bullet train too. When I think about Japan, little cute souvenirs always come to mind. Of course, the hospitality and discipline of the people as well. This is a great post for someone like me who is planning to visit Japan in the future! Impressive articles, precise and interesting. Thanks for sharing it. These are all really helpful tips! Japan is on my bucket list so this will come in handy when I finally get to visit! Pinning this and saving it for later. Such a perfect guide and FAQ to plan a trip to Japan. Quite extensive and well researched. Great tips for travelling in Japan. Have taken screenshots for future reference. thanks for sharing..
Great way to write this post. 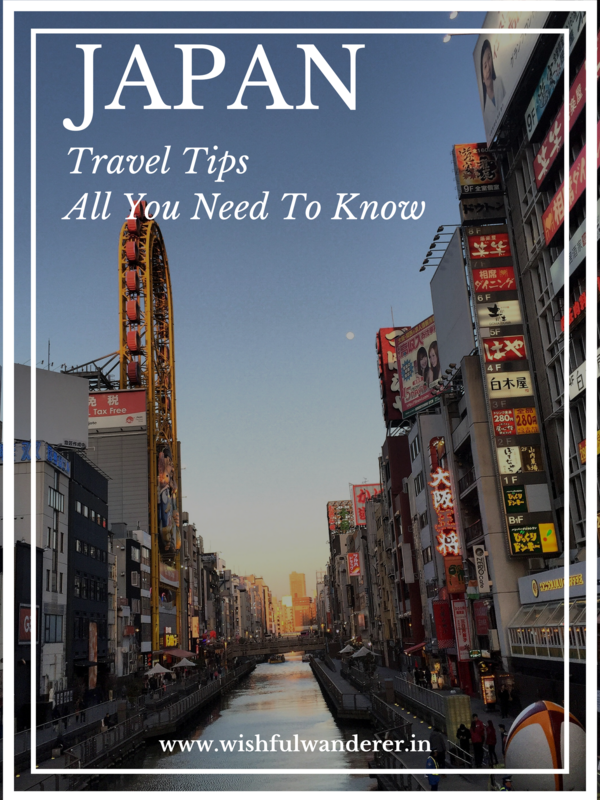 It made if very informative for those of us who have never traveled to Japan. I hope to go soon and will use these insightful tips. So want to ride a bullet train. That’s indeed a great way to write a post, makes it engaging and informative at the same time. I would love to see Japan some day and this will prove helpful if I manage to find this on time 🙂 Will bookmark it. I love to visit Japan one day and hike Mt. Fuji. Your Q&A is very helpful. I’m glad you found it helpful. Do let me know about your trip once you visit. Only yesterday I applied for a visa for Japan. This post of yours is filled with so much practical information. Bookmarking it! Did you use the JR Pass? Oh wow! You are going to have a blast! We did not use the JR Pass cause there are multiple railway lines and JR pass is not useful for all the lines.